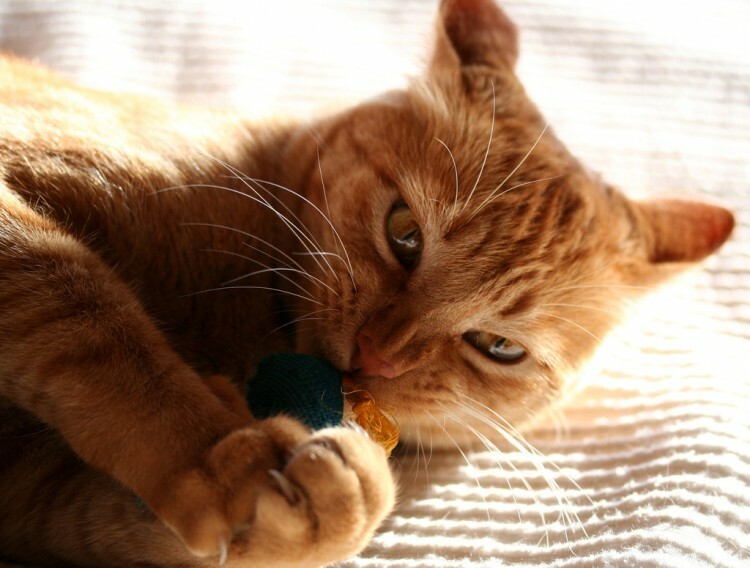 Whether you provide cat towers or toys that make her work for her food — or both — give your cat a chance to act on her natural feline instincts. How happy is your indoor cat? 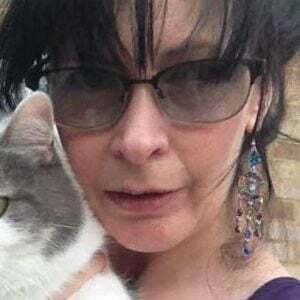 In a previous article I looked at outdoor cats, and as there are huge differences of opinion on the subject between the U.S. and U.K., I suspect most of you have indoor cats. However, that article also mentioned dangers on both sides of the door — it’s just that those for indoor cats are not as obvious. Like it or not, indoor cats are restricted from expressing a range of natural behaviors, including climbing, exploring, stalking, exchanging scents, scratching, hunting and communicating with other cats. This frustration can lead to behavioral problems, such as scratching furniture or inappropriate urination, along with weight gain, which causes health issues such as diabetes. Before you shout at the screen thinking I want you to let your cat out — stop. If you have indoor cats, fair enough — let’s agree to differ, but here are some ways to help them express their natural behaviors. Cats are hunters. Stalking prey provides vital mental stimulation (and no, I’m not advocating hunting live animals. I hate that cats hunt mice and birds). But you can help cats mimic hunting behavior with sneaky feeding tricks. Cats are designed to eat several small meals a day, so instead of putting all their food in 1 bowl, make them work to find their food: Create a puzzle feeder out of cardboard toilet paper tubes. Collect 30 tubes, and glue them horizontally in a 6-by-5 arrangement. Put a few kibbles in the center of each tube, so your cat uses a paw to hook the kibble out. Alternatively, put small portions of food in the bottom of individual pots of a seedling tray. Also, consider buying feeder balls, where the cat bats the ball around to get food to fall out. Or make your own by drilling good-sized holes in a plastic container. Another great idea, especially for overweight cats, is to conceal small portions of food around the house. This way, the cat has to “hunt” out his food, giving him both mental and physical exercise. Play is vital to strengthen muscles and improve eye-to-paw coordination. It’s no good providing toys and expecting the cat to get on with it — she needs interactive play. Schedule a minimum of 2 separate 10-minute play sessions a day. Get the cat chasing a wing-on-a-string or batting a ball until she’s out of breath and lies down. Giving her this opportunity to be a predator (even with a ball of tin foil) satisfies a deep inner need. Also, consider clicker training your cat. Just find that super-tasty treat she’ll do anything to get, and use a clicker to signal a reward is due. Cats are highly trainable, given the right motivation, and love the individualized attention provided by training. Scratching is a natural behavior to mark objects and condition the claws. Instead of stressing over damaged furniture, give your cat an appropriate object to claw. If your cat scratches carpet, give her anchored horizontal scratchers. If she goes for furniture, give her solid vertical scratching posts. Position them near doors (strong markers of territory) and her bed (cats like to scratch when they wake). Cover the posts in a substance similar to her preferred surface, such as carpet or wood, or use tightly wound natural sisal. Avoid synthetic rope. Cats crave the opportunity to watch the world from above. Provide multiple high cat towers, preferably near a window so your cat can watch the street. Also, provide bird-feeders near the window for “Cat TV.” If you can, provide the cat with the opportunity to patrol the room at a height, such as on shelving. Outdoor cats love chewing on grass to cleanse their system. Mimic this by growing safe-to-eat plants indoors. Great choices include trays of catnip, grass, thyme, safe, parsley, wheat or oats. Cats like to be private, so make sure yours have adequate cat-friendly hiding places in each room. A cat bed behind the sofa and a cardboard box beneath the bed are good starting points. Free-ranging cats use different spots to poop and pee. Make sure your indoor cat has at least 2 trays (in a multi-cat household, give 1 tray for each cat, plus 1 spare tray). Keep the tray clean in a quiet, safe place. 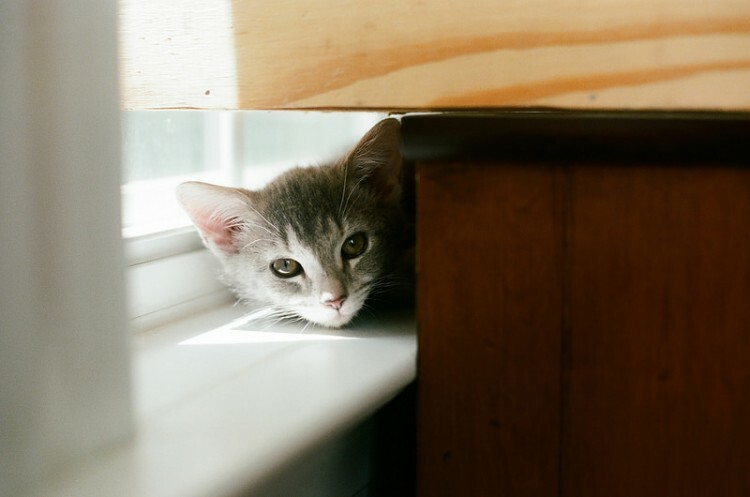 These simple tips give your indoor cat a chance to “be a cat,” which means a contented kitty and a happier household for everyone.